Your feedback helps us to make big changes at the University and we’re currently asking all of our final year undergraduates to share their feedback with us by taking part in the National Student Survey. 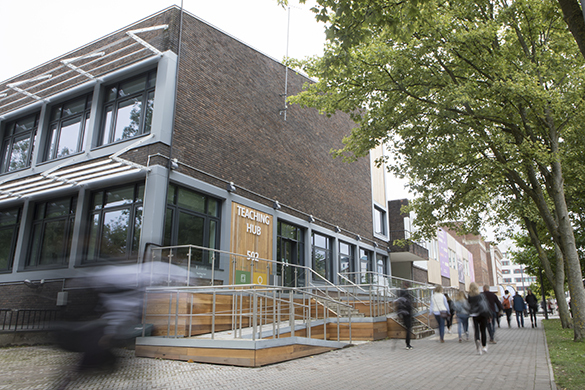 In the past, we have used your feedback to make printing cheaper, to introduce lecture-recording technology and to develop new teaching facilities, like the 502 Teaching Hub. The National Student Survey is commissioned by the Office for Students (OFS) and administered by independent research agency Ipsos MORI. It is part of a quality assurance system to generate more detailed information about teaching quality. To say thank you for taking part in the survey, we’ll donate £1 to the Guild’s four annual charities on your behalf and we’ll also enter you into our weekly prize draw. This week, you could win a Graduation Bundle! The bundle will help you celebrate your graduation in style and you could win a night’s stay at the Titanic Hotel in Liverpool, a £100 Oktopus restaurant voucher, free gown hire from Ede and Ravenscroft for your graduation, plus a photo package, including one large (10”x8”) print and two small (5”x4”) prints. You can see the full prize list via our National Student Survey webpages. For more information about the survey, please visit the National Student Survey webpage.